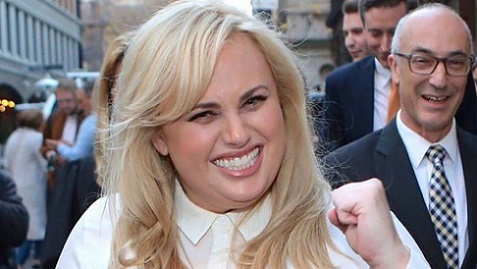 Rebel Wilson recently won a $4.6 million defamation claim against publishers Bauer Media. Woman’s Day and Australian Woman’s Weekly had claimed that Rebel had lied about pertinent personal details. The publisher went to the extent of labeling the actress a ‘serial liar’. In the beginning of Rebel’s defamation case, the actress offered to settle the claim outside of court. However, the media giant was certain they would prevail and refused to settle. As a result of the media company’s over confident stance, Rebel was forced to move forward with litigation. With many tabloids and magazines regularly making claims about celebrities that are false, what made Rebel’s case different? In Rebel’s case the publication and identification of her story met the first two main elements. However, that left Rebel with the burden of proving that her reputation was damaged. The media giant claimed that Rebel had lied about a significant number of personal facts; including her age, name and childhood information and therefore was a ‘serial liar’. The issue became whether Rebel had suffered damages as a result of being called a ‘serial liar’. In their defense the publisher claimed the information they published was true; Rebel was a habitual liar. However, the facts did not support this defense. Bauer Media claimed that their allegations of her lack of truthfulness caused no real damage as people do not pay much attention to those types of statements. This defense was hugely unsuccessful for the media giant. In this case, the court found that Rebel did suffer damage to her credibility and integrity. The court found that Rebel’s reputation could have easily been damaged in the eyes of the average person, that being labeled a serial liar would cause others to ridicule her and as such the publisher had damaged her reputation both personally and with her fans. While it is true that a person may occasionally give inaccurate information, the court found that to be branded a ‘serial liar’ had dire consequences to the personal, professional and financial status of the young actress. The court found the accusations by the publisher, and the nature of the language used was purposely timed to coincide with the release of Rebel’s new movie, hence intentionally setting out to do her financial harm. As such the court awarded a significant sum in damages to deter other publishers from attempting a similar form of financial sabotage and reckless disregard for the reputation and character of others. Rebel stated she was extremely satisfied with the outcome of the legal action. However, she explained to the public that her concern was not with the monetary award. Instead, Rebel stated the more important result was to deter those who present facts to do so with accuracy and truthfulness, rather than using their power to bully and harm the reputation of celebrities and others. Rolf is Managing Partner of Owen Hodge Lawyers. He has been in the legal practice since 1986 and a partner of Owen Hodge Lawyers since 1992. Rolf focuses on assisting clients to proactively manage legal responsibilities and opportunities to achieve competitive advantage. Rolf concentrates on business planning and formation, directors’ duties, corporate governance, fund raising and business succession. His major interest is to assist business owners and their financial advisers plan and implement strategies to build and exit from successful businesses.